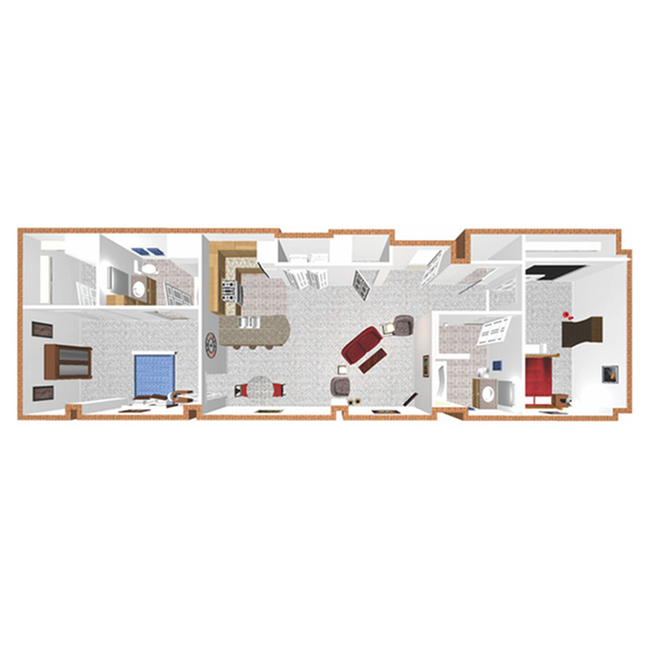 The Barnett is a two bedroom, two bathroom apartment home with one of our larger two bedroom floor plans. 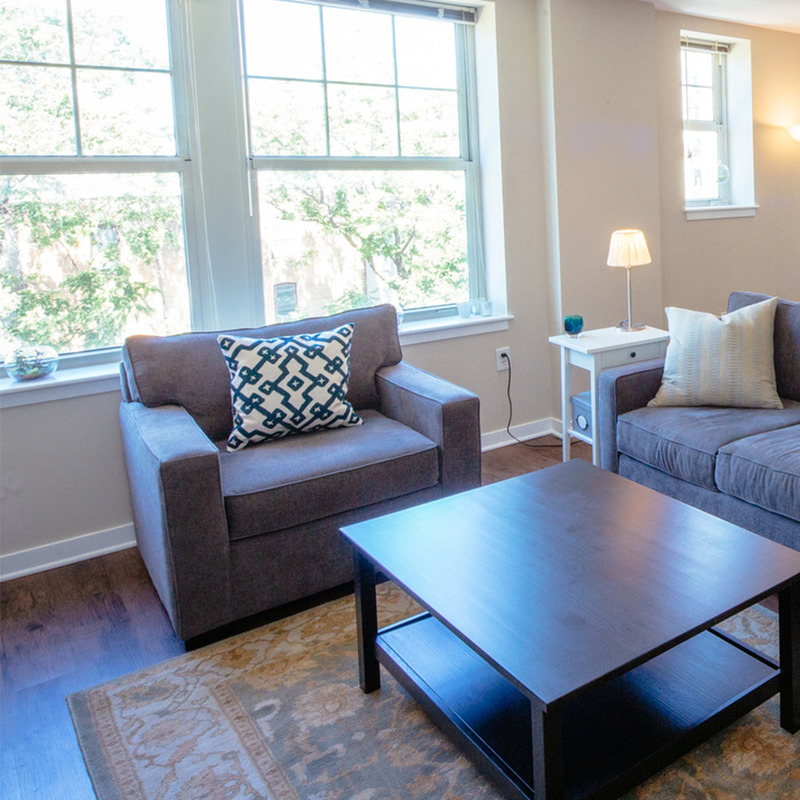 The 1,250 square feet home has oversized windows in all rooms allowing plenty of natural light into the apartment while giving residents an aesthetically pleasing view of one of our scenic courtyards. 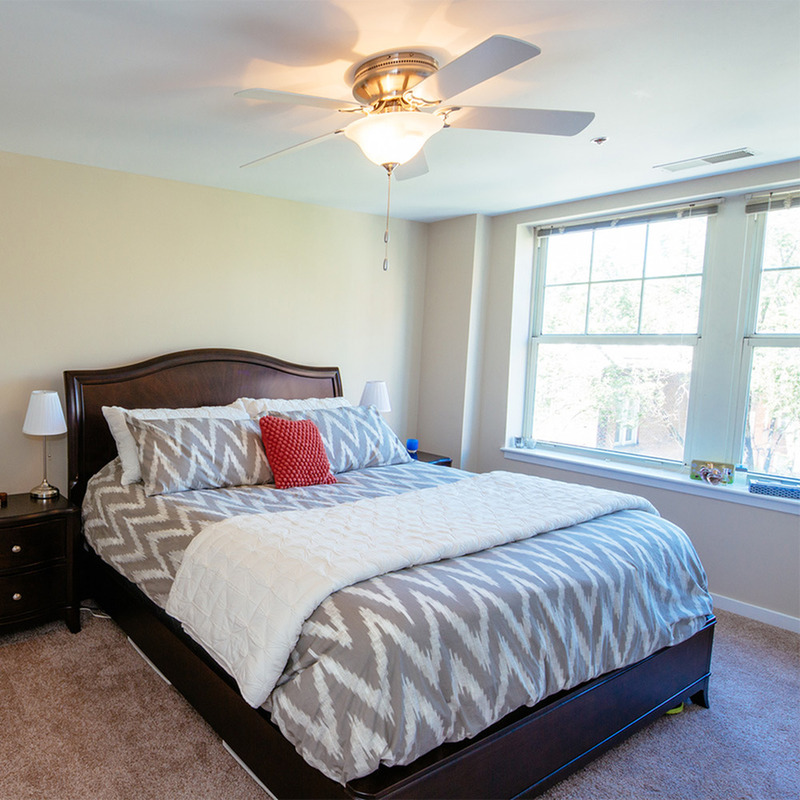 The Barnett's master bedroom also has a large walk-in closet. Living in the city can often mean carrying loads of laundry to the nearest laundromat. At The Residences at Forest Park Hotel, your urban apartment comes complete with a laundry space equipped with a washer and dryer. Unwind in a thoughtfully planned space that encourages relaxation. 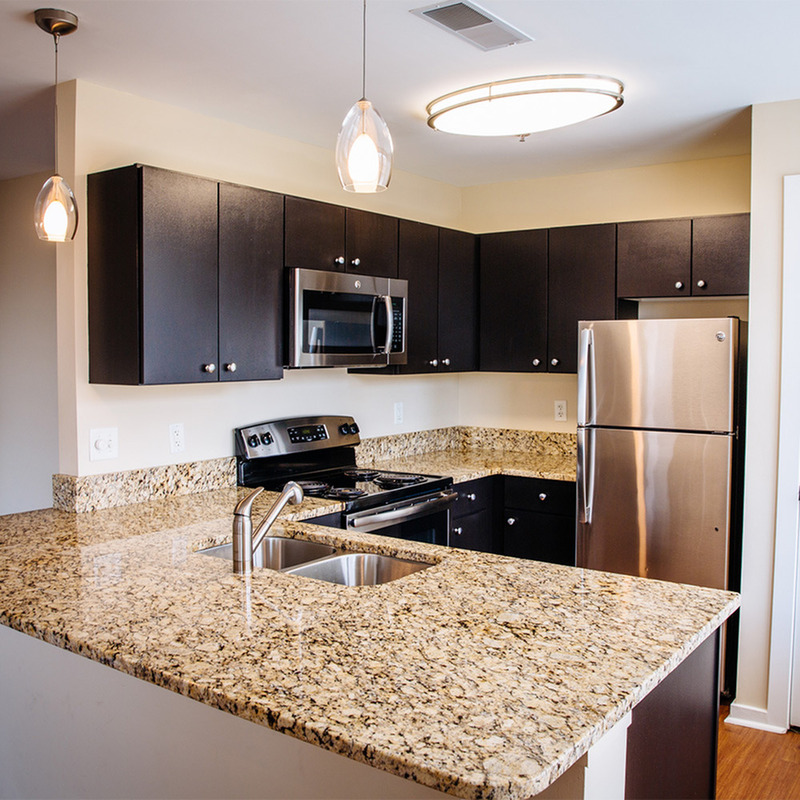 Even more, each apartment contains plenty of room to make the space your own. "The dog community here is fantastic. The new dog park is obviously a highlight for us and one of the reasons we will absolutely be staying for as long as humanly possible in this building. It's invaluable to have a fenced in space where the dogs can play right here, and the dog people in this building are so nice." "This was a lifetime investment. It’s a very unique apartment. I wanted something where I can be the rest of my life, where I'd be happy. You know they have these 55 and older communities and I don't want that. I want to be with a vibrant community and everybody's very respectful here." "This unquestionably will be the coolest place we have ever lived. This area is stunning, and to be able to have a place like this to live is a feather in our cap. The staff is wonderful and when you walk in they are always there – it becomes like family." "I wanted to simplify my life and I decided that the Central West End was the place to be, with proximity to Forest Park, the movies, the Chess Center, restaurants and my temple. 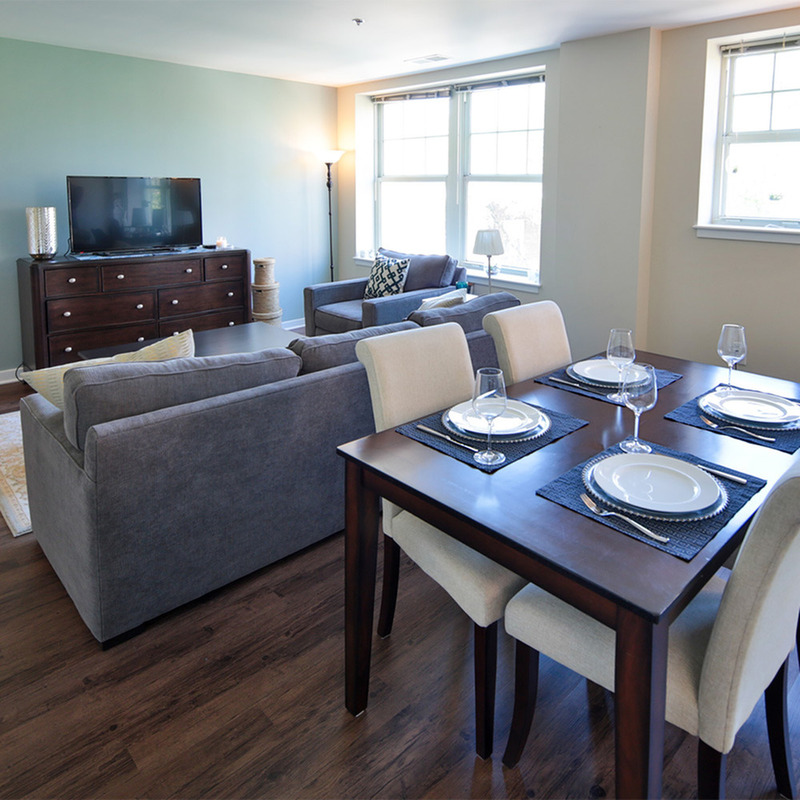 I looked at several apartments, and I chose the Residences at Forest Park as the optimum place to be and I've not been disappointed." "Living here makes life so much easier. If anything goes wrong, everything is fixed in 24 hours or less, although I’ve never had any major problems. The staff puts our kind of life first, even on the weekends. You are always one call away from getting something fixed, and it’s just a dream to have that, especially when we are working." From our gourmet coffee bar with fresh fruit and snacks to an outdoor patio with gas grills, we have all of your needs and wants covered. Located in the heart of the Central West End, you will be surrounded by unlimited restaurants, unique shops and all retail St. Louis has to offer. The 5-star services offered perfectly complement our extensive list of amenities to make life easier for you on a daily basis.